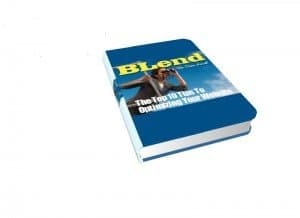 Copyright 2010 © BlendLocalSearchMarketing.com, All rights reserved. This report is NOT legal or accounting advice. 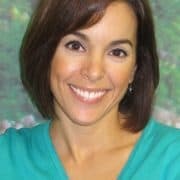 You need to do your own due-diligence to determine if the content of this report is right for YOUR business. No earnings claims are being made anywhere in this report or in the marketing of this report. The publisher of this report is not liable for any damages or losses associated with the content in this report. In English: You are a business person, I am a business person – you need to be responsible for your own marketing and actions online. If you already have a company website of course you need to have it working for you and not against you. A fully optimized website is your shop window and your calling card to the world. First impressions count and it is reported that you have about 8 seconds to impress a casual web browser to stick around, entice back and ultimately buy your product or service. An attractive, functional and fully optimized website will rank high in the search engine providing you with free traffic 24/7 and 365 days a year. It never takes holidays, turns up late for work goes on strike. In fact I like to think of a website as the best employee you could just about have. Here are our top 10 tips to optimize your website. 1) Keyword Phrases – Find and use the keyword phrases your customers would use to find you. (Put yourself in your customers shoes) When I say phrases I mean 2, 3 or even four words. Google have some free tools you can use to find the value and number of times your keyword phrases are used in monthly searches. Get Keyword Tool here. 2) Local Search Optimization To optimize your website for local search, include your bricks and mortar business address at the foot of the page including postcode and telephone numbers. 3) Website directory Structure – Target your specific keyword phrases for pages on the directory structure. Keywords and phrases need to be generic i.e. local search, local maps or local listings etc. 4) File Names – File names and your website URL need to be targeted towards your keyword phrases. Titles, Metatags, Meta Description, and Meta Keywords: Ideally there should be around 10 words in your title and 25 words in the description. You’ll notice when you surf the keywords you use are in bold in the website description. These are the keywords. Do not over stuff keywords or keyword phrases into your description. Once or twice is enough. Before I start to build a website I put all the information I need into a Notepad. Then I know where it is and I can cut and paste from it when ever I need it. (Do not use Word for this). Titles and Metatags should start with a keyword and need to have key phrases in them. 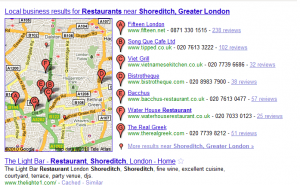 For example Local Search Marketing in London, Local Search Services in London. 6) Sitemaps – There are two different types of Sitemaps that should be used for a new website. These are Sitemap.html within a website and the other one is a Google Sitemap (Sitemap.xml). The xml based sitemap can be generated using a Sitemap Generating Tool. If you use a Google friendly WordPress get the Google XML Sitemaps plugin. Asitemap.html page will have links with all the inner pages of a website. These two sitemaps are to make the pages saturated on the search engine databases. This is referred as Search Engine Saturation. 7) Body Content – Great ‘copy’ or content is the main reason that a website exists. It needs to provide information, entertain, enlighten or convert visitors to sale or to just make a better site stickiness for the users. (Video is good sticky content). We need to use an online LSI tool like Quintura to help make a web page more relevant to the website. The Quintura search engine works the way people search and its LSI tool evaluates latent semantic terms. Each page should have at least 3 text links (anchored texts or hyper-links) to the inner pages that are relevant to the context of a page. Navigation should be consistent and run through the site’s pages. Most important pages need to be linked from the index page that includes the Sitemap.html. A note about positioning relevant content on a web page: It is good to understand a little bit about how a search engine spider sees a web page while scanning it. Search engines read pages like we do, from top to bottom. It is reported that they also assume that the content near the top of the page is more important than the content at the bottom of the page. The text at the top of a page receives more weight than the text at the bottom. Hence it is better to shift the unnecessary code such as the navigation links on to a side bar menu or to the bottom of the page. 8) Coding Web Pages – When coding WebPages for a website, calling external CSS (Cascading Style Sheets) can be used to minimize the amount of code on web pages and is beneficial website optimization process. Also, CSS should use a different style sheet for mobile visitors, not a different site. If you use WordPress for your blog you do not need to code a single line and we would recommend that you use this open source platform for your websites. They are extremely search engine friendly and customizable. 9) Back Links – this is one of the most important factors that many of the search engines consider to weigh a website. Links should be built up over a period of time and come from relevant sites to your own. You should check for websites that offer backlinks without a NoFollow Tag to your website. This makes the link value (Link Juice) flow from site A to Site B. 10) Check Links – Check all your links to ensure they are working correctly and are linking to the correct site, page or are broken resulting in an error message. 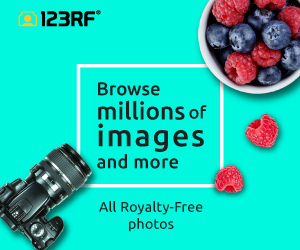 Don’t forget to name all your photographs with your relevant keywords and phrases. The search spiders will thank you for this (more juice!) and your customers will be able to read the text if the photo doesn’t load (Jpeg3 doesn’t look good or mean anything to anyone!). The three screenshots above are of the Google Local Map 7 Pack. This is where YOUR business needs to be seen. If you are not seen here, you will not be seen at all. We have 3 affordable packages to get your business listed in the Google Local Map 7 Pack. 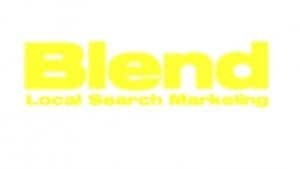 Get in the Blend and contact us now to get listed on Google Places and on page 1 of organic local search!